Stanton’s Cottage Collection offers a new twist on the classic Wiltons with new updated designs that offer modern flare and eye-catching appeal. The latest looks take the soft surface to new heights with multidimensional fibers that add to the surface appeal of the highly textured designs. The contemporary looks of Hillside are achieved through a random, deconstructed design that imparts the illusion of faded paint on ancient structures. The strie patterned fibers play in and out of the varying loop levels that not only impart a vintage look but suggest a modern pixelated design too. 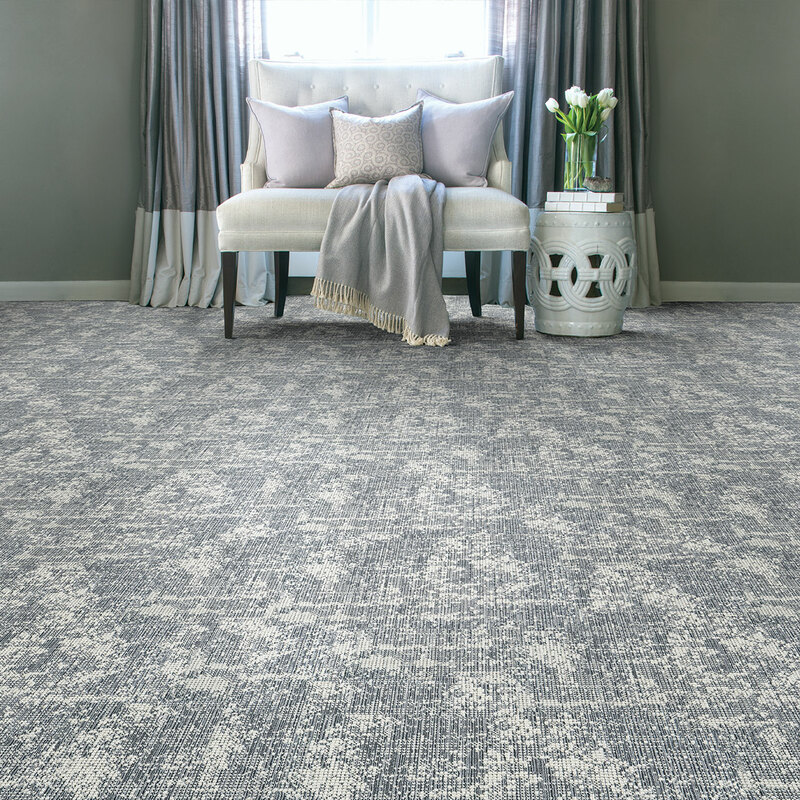 Bungalow offers high dimension, geometric visuals presented in a classic diamond grid pattern accented with a highly texturized circle motif. Rounding out the collection is Sullivan with its abstract, linear woven looks accentuated with varying loop levels that add multidimensional character. The collection works like an artist’s canvas on your floor, complementing and setting the stage for a beautiful room. All looks in the collection are available as custom sized rugs and as wall to wall installations.